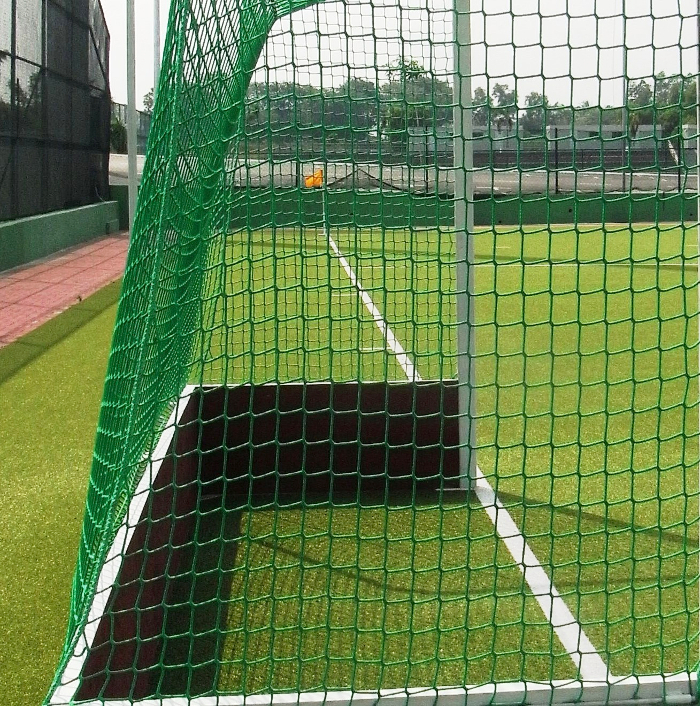 Field bockey goal net is made of the highest quality 100% Twisted or Braided Knotted or knotless PE and Nylon Netting on the market, with UV Protection & weather treatment for extra durability and longevity. Rope border included with every net. Our Hockey Netting is perfect for protecting property, people or possessions. #24: The lightest possible material for hockey barrier netting. The thickness of this net is about a quarter of a pencil. This net is perfect for backyards and really strong for taking hits from balls missing the goal. Due to the strength while possessing a square mesh size of 1-1/2″, this net is made specifically to stop lacrosse balls and hockey pucks. As a result, with moderate use the lifespan can last 5-7 years. #36: This is the strongest hockey backstop net on the market. So our #36 nylon hockey net will last 8+ years as a backstop. The thickness of this net is a little more than half the thickness of a pencil. It is ideal from backyards to indoor facilities. With a square mesh size of 1-1/2″, this net is made specifically to stop lacrosse balls, hockey pucks or similar balls.